It is time again for “As Time Goes By”- a 1940’s themed Supper Club/Sweetheart Dinner Dance. The event will take place at the museum on February 9, 2019 starting at 6:30 pm. As always we will feature the talented Sentimental Journey Orchestra under the direction of Ted Connerly and featuring the Memphis Belles singers. A family style dinner will be provided by Austin Catering, in addition to a photo booth and souvenir glass. Our outstanding silent action will feature items like a ride in the Sherman Tank, themed baskets and much, much more. Tickets are $100 and can be purchased at our Event Page, by phone or at the museum. Seating is limited. We look forward to having you join us for this wonderful unique event hosted by the Texas Military Forces Historical Foundation which supports the Texas Military Forces Museum. 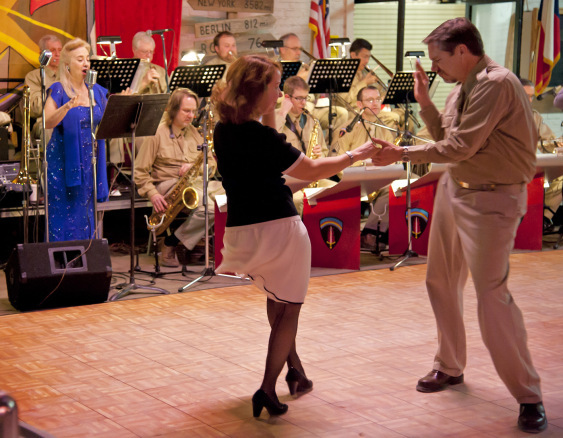 This entry was posted in Uncategorized and tagged 1940, big band, dance, fundraiser, supper club, valentine, WWII. Bookmark the permalink.